If you are a guy of a certain age there were a few films that everyone quoted, such as The Blues Brothers and Animal House. And a number of the other films that were watched again and again were films starring Chevy Chase, including Vacations I & III (but not II), The Three Amigos, and, most quoted of all, Caddyshack. Then his career crashed, and his films became utterly unwatchable, perhaps reaching the nadir with The Karate Dog. 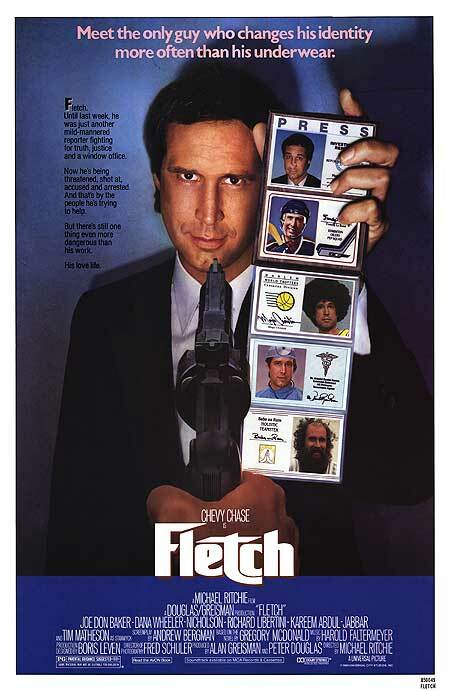 But before the great downswing, he made 1985’s Fletch. Fletch was based on a novel in a popular mystery series by Gregory McDonald. The screenplay was written by Andrew Bergman (The In-Laws) and directed by Michael Ritchie (The Bad News Bears). Chase’s Fletch, a reporter for an unspecified Los Angeles paper, is working on a story about the drug trade on a Southern California beach. But the bad guy has a connection to Utah. Utah also has a very memorable cameo at the beginning of Indiana Jones and the Last Crusade (1989). River Phoenix plays young Indy in a chase, via horse and train, through Arches National Park in Moab where the audience learns how the hero got his whip, his hat, and a scar. There are much less interesting races via automobiles in Need for Speed (2014), based on the popular video game. Aaron Paul races a Shelby Mustang through Moab and the Bonneville Salt Flats. A better car chase film is Vanishing Point (1971), an existential thriller with Barry Newman speeding a Chrysler Imperial through Cisco and Thompson Springs. Utah has provided locations for many Westerns, most famously those directed by John Ford. 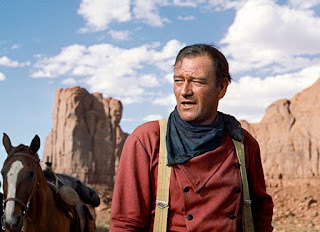 In two of the greatest Westerns ever made, Stagecoach (1939) and The Searchers (1956), Ford prominently featured both John Wayne and Monument Valley. Warlock might sound like a horror film, but it was another Western featuring Henry Fonda and Richard Widmark and Arches National Park. Carnival of Souls (1962) was a horror film, a low budget one, that featured the Great Salt Lake and other Utah landmarks made quite sinister by means of its odd black and white photography. 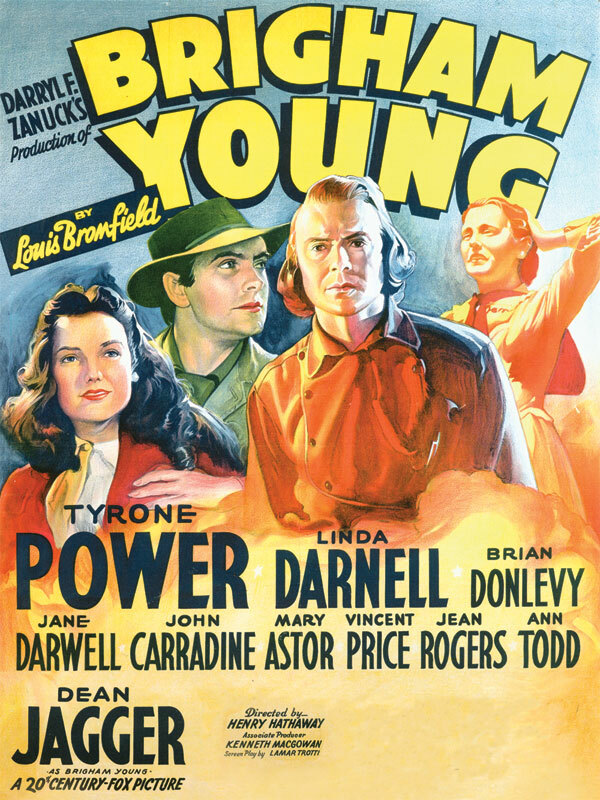 It has been featured before in Movie Churches as its main character is a church organist. A quite different film set and filmed in Salt Lake City is Chilly Scenes of Winter (the original title in 1979 was Head Over Heels), a romantic comedy starring John Heard and Mary Beth Hurt. 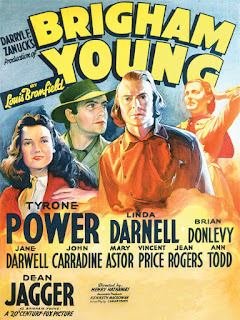 The original theatrical release had a happy ending, but later releases ended on a more melancholy note, like the novel the film was based upon. A film based on a grim true story is 2010’s 127 Hours about a canyoneer who became trapped in a climbing accident near Moab. He was forced to amputate his own arm (real life spoilers), the film was nominated for Best Picture, director Danny Boyle was nominated for his writing, and James Franco was nominated for his performance as Aron Ralston.